Your card is so sweet ! Thank you for sharing with us at Craftin Desert Divas Linky Party! Thanks for entering the Ribbon Girl June card challenge Bunny with your adorable card - good luck! Sweet image and fun card. I am so glad you shared over at Catch the bug. 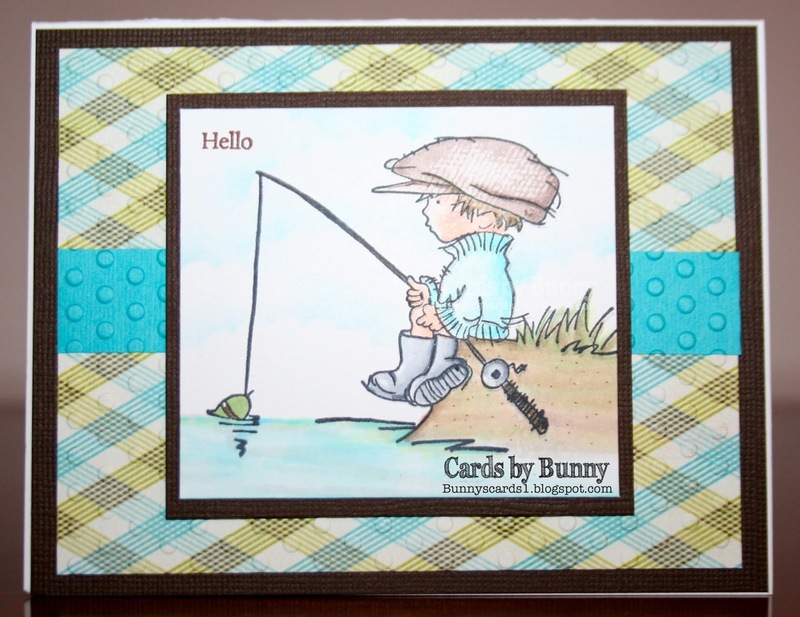 This card would be perfect for our challenge at Creative with stamps masculine/manly challenge. Oh that's sweet! I love this card! The papers are so perfect with this image. My hubby would love it! Thanks for joining us this week at Catch the Bug Challenges. Hello, Bunny! Thank you for your sweet words on my blog! Your card is adorable! I find the boy cards the hardest - this is such a sweet image! Love that plaid paper too! Wonderful added texture with the embossing! Hope you have a great weekend! Awww I love this image, so real, and your coloring is always amazing. 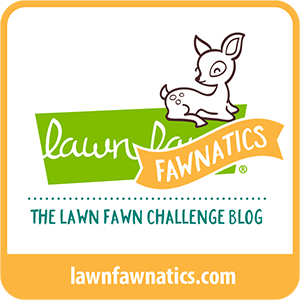 Thanks for playing our challenge at Lil Patch of Crafty Friends. Really pretty card love the colors you have used, thanks for joining our challenge over at catch the bug. Love the background paper and the embossing adds such great texture without taking away from the image. Love the soft colors you used to color the image. The dark mats really make all of the colors pop. You beautifully painted water. I have a feeling that she gently moves. Wow, great art do something like that! Great card inspiration and beauty.